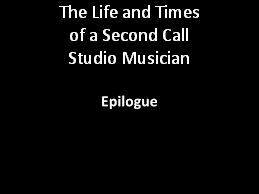 Here is the final installment of my blog, The Life and Times of a Second Call Studio Musician. I posted my first installment on October 31st 2016. 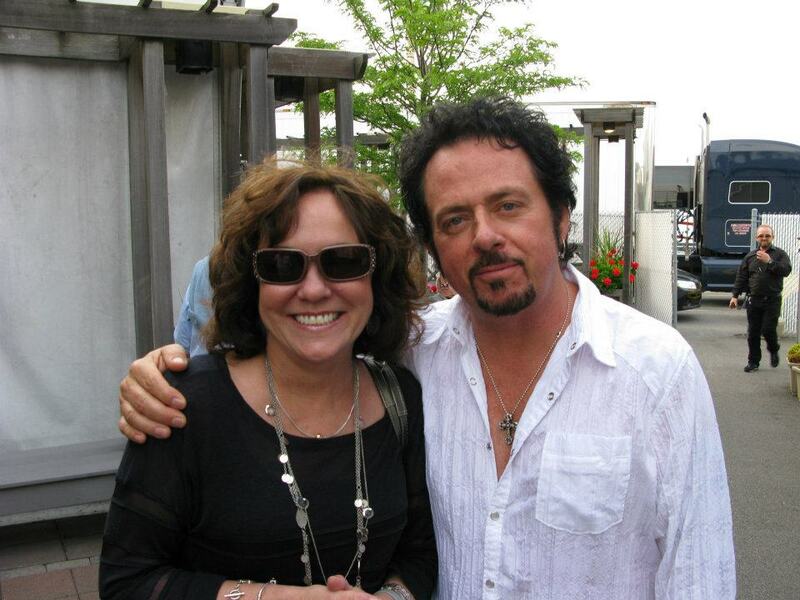 For years I have told stories about my career and the musicians that were a big part of it. So many people that I know have told me that I should write a book. It always seemed such a daunting task, a good idea but just too big a project. A few weeks before the initial installment I had lunch in Boston with the guy that I, and pretty much all of the other LA studio guitar players for that matter, in the 80’s heralded as “THE #1 CALL”. Mind you there were a lot of great guitar players around working at that time. We all were doing it, making a living in the LA session world. Most of us were clients of guitar guru Andy Brauer’s cartage/rental biz. Andy had pretty much all of the best cats. If you wanted to be part of the “scene” Brauer’s place on Weddington Ave in North Hollywood was the place to be. Since all of the best guys were there you knew who was working a lot. Conversely, if you walked into the storage area and saw all of the anvil cases of guitar and racks of gear of a particular guitarist, you also knew who was NOT working that day. Again I reiterate, there were amazing, really busy guys on Andy’s cartage roster. Dean Parks, Michael Landau, Dann Huff etc. But there was one guy in a class by himself. He was just living in another world in terms of doing the biggest gigs, being irreplaceable, etc. His list of credits was remarkable, the biggest of the big gigs were his. I’m of course talking about “Luke”. Back in 2009 we reconnected on Facebook. I was hoping to take my kids to one of his gigs. It didn’t happen but then in 2012 I got this message from him regarding the Ringo gig. After that, whenever he came to town we would have lunch. Talk about the old days, how lucky we were to be a part of that LA studio scene back then. Great memories. In 2015 I was approached by Carl Beatty who is the Assistant Vice President of Artist and Music Industry Relations at Berklee, about bringing Luke to the college. Months of back and forth, how to make it work, what would it be, would we play, or not, etc. Finally we settled on a Q&A. “Hey, I’m writing a book, I’ve got a writer lined up and am putting together all of the stories for this thing, it should be out in late 2017 or early 2018”. 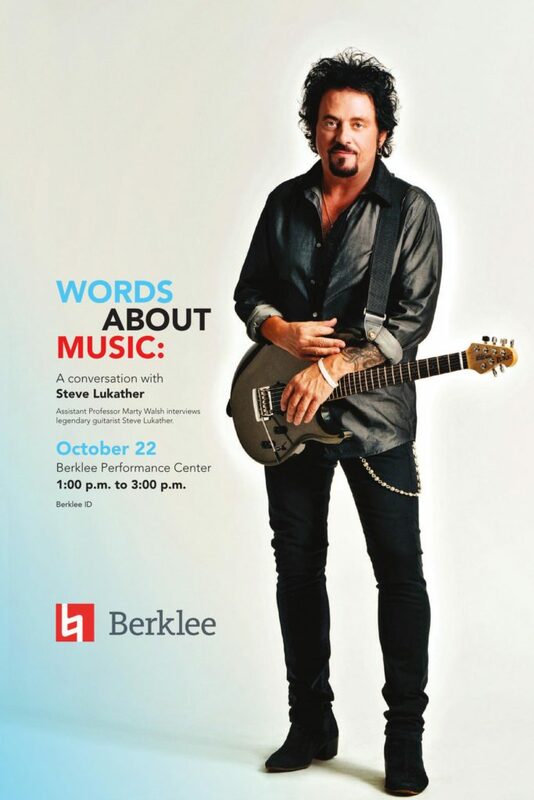 Anyway we had a good laugh and I went home and thought, I have been telling these stories about my career, Sinatra, Supertramp, John Fogerty, Dolly, Eddie Money, John Denver and so many others that I better get this out before Luke’s book!! I had a blog tab added to my website and wrote the first installment, I posted on my site around 1pm on Monday the 31st and then posted a link on Facebook. Within a few hours I had 250 likes, and a bunch of comments. Everybody was saying keep going, so I wrote my second installment and posted it around 1pm the following Monday. The thing had traction so I decided to just keep going and post every Monday around 1pm. It’s been a great walk down memory lane for me. So many people that I brought up in the blog are on Facebook and it’s been great reconnecting with many of them. Recalling those days, what I was so lucky to be a part of, well it certainly brings out the gratitude. That said, being a studio musician can be a stressful hang. As I heard it once said “You are only as good as your last three minutes”. Meaning playing on record dates, each song is around three minutes long and all it takes is 3 minutes of bad to not get called back. As my mentor Jay Graydon said in an interview “bad news travels fast, if a guy ain’t cutting it, well…..”. In my career I pretty much did record dates, some TV/Film stuff but mostly records. Every session I ever did I was trying to get the best three minutes I could. Most of the time it worked and the call backs came, sometimes not. As Jay also said, “Everybody’s been replaced, you can’t go on a trip about it. You just move on”. All in all, those were great times, I left LA 21 years ago and I am still doing sessions out of my home studio today. I want to thank all of you who had great comments about this, thank all who actually subscribed to this thing. And as it is usually said in this kind of endeavor, I hope you had as much fun reading it as I had writing it. So I complete the mission, December 4th 2017. BTW, Luke’s book will be out in February of next year. “The Gospel According To Luke”!!! I leave you with this final video. The last few installments were about my 2014 release “The Total Plan”. In 2015 I secured a spot at the Berklee Beantown Jazzfest. Appearing would be “Marty Walsh and The Total Plan”. Instead of just doing songs from my instrumental album I enlisted two students that I had worked with since they were in my 2011 summer program class “The Rock Workshop”, vocalists Jackie Foster and David Stewart. I brought them in especially to do this Michael Ruff version of the Beatles song “Come Together”. Great band including Tom Major on drums, Danny Morris on bass, Matt Jenson on keyboards, Ryan Fedak on percussion and Paul Jefferson on tenor sax. I’ve been playing this guitar for quite a few years and I ain’t giving up yet! I will most likely post on occasion if there is something newsworthy going on, but for now I’m giving it a bit of a rest.